Barry Bonds played 22 seasons in the Major Leagues with the Pirates and the Giants. He is without a doubt considered one of the greatest players in the history of baseball. He was a seven-time MVP, 14-time All-Star selection, and an eight-time Gold Glove winner. He holds many MLB batting records including most career home runs (762), most home runs in a single season (73), and most career walks. According to Baseball-Reference.com he is second only to The Bambino in a Career-WAR (career wins above a replacement player). 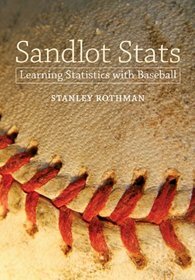 In my book “Sandlot Stats: Learning Statistics with Baseball”, I rank Barry Bonds the sixth greatest hitter of All-Time behind Babe Ruth, Ted Williams, Lou Gehrig, Rogers Hornsby, and Ty Cobb. His statistics should make him a first-ballot Hall of Famer. YES, not so fast! There was a flaw in his character. He was a central figure in 2007 steroids scandal. He was indicted on charges of perjury and obstruction of justice for allegedly lying to the Grand Jury during the BALCO investigation. Both charges were either overturned or later dropped. Despite his baseball greatness the Baseball Writers of America have rejected him in his first four years of eligibility. I would add a few more character flawed players to the Hall of Fame. Two such players that come to mind immediately are Joe Jackson, implicated in the Black Sox Scandal of 1920, and Pete Rose, accused of betting on baseball and then lying about it. Shoeless Joe Jackson played 13 years in the majors (1908-1920). He career ended prematurely due to the Black Sox Scandal. Some of Joe Jackson’s notable baseball statistics include batting .408 in his first season as a rookie, second only to Ty Cobb with .420 and the highest ever by a rookie. In 1912, Joe batted .395 and led the league with 26 triples. In 1913, he led the league with 197 hits. He has the third highest career batting average at .356. Bill James ranks him as the 33rd greatest non-pitcher in Major League History. Now everyone knows the story of Pete Rose, the career hits leader at 4256 hits. He played 24 years in the majors (1963-1986). He was a 17-time All-Star, Rookie of the Year, and MVP in 1973. Added to these notable statistics is the way he played the game. His nickname “Charlie Hustle” tells that story. Because of his lack of power numbers he was only an Honorable Mention on my All-Time list in my book. The time has come to change the Hall of Fame selection method. We now have the ability, as I did in my book, to base selection on actual player statistics. The Hall of Fame should not be a popularity contest or a judgement process on a player’s personal life and transgressions. Let’s face it when we are young many of us, including myself, make bad decisions. Let a player’s work between the lines determine his selection to the Baseball Hall of Fame. Please comment on your thoughts about my blog.